What has not been customary at Oregon was the ability to speak with freshmen that have yet to play a game. But this is Mario Cristobal’s team now and he does what he wants. So much to the delight of fans, 5-Star defensive end Kayvon Thibodeaux was made available on Tuesday to media following practice. 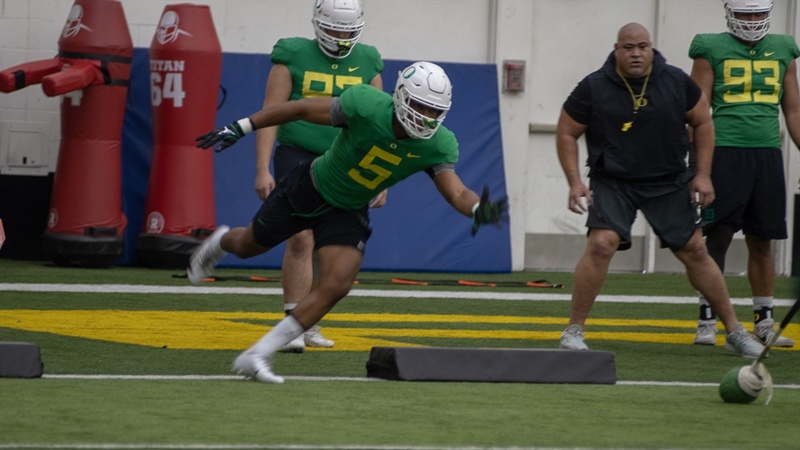 The intriguing former 5-Star had a lot to offer the media including his background and his ‘mission’ at Oregon.